ith the 250 SLX, Sea Ray worked all the angles, coordinated all the systems and composed a premium sport boating experience to leave you breathless. 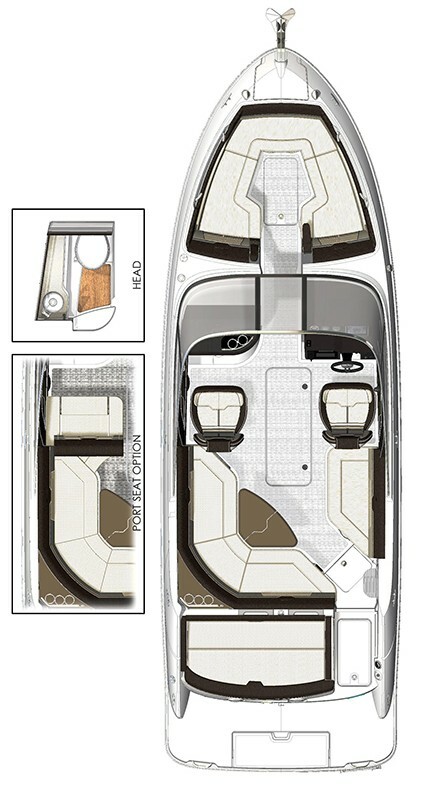 The Grip 6 hull and Mercury power up to 380 horses keep you glued to the helm. A wide cockpit ringed with multi-density foam seating ensures full comfort. Quiet Ride noise reduction makes it easy to hear just how thrilled your family is, while the deluxe head ensures nobody’s day needs to end prematurely. Precisely crafted excellence ensures a precisely excellent craft. Mercury’s SmartCraft Digital Throttle & Shift (DTS) system delivers effortless command of your engine and puts control at your fingertips, literally. Enjoy smoother shifting, easier docking, more immediate throttle response and cutting-edge information displays. Performance is more predictable and responsive than ever before. Reach out and touch your 250 SLX. With Dynamic Display, you can access seamless vessel data, audio control and navigation capabilities in a convenient touchscreen format with brilliant graphics. This is the future of sport boat user interfaces. Hands-on just got high-tech. Passenger Seating that doubles as a lounge Option.